Dedicated to providing consistent and quality investment advice, Antony Santomartino works to assist clients in determining the best investment mix for their SMSF by considering their objectives, risk profile and personal financial situation. 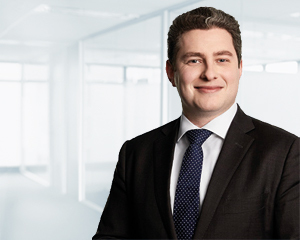 As a member of the Melbourne Family Wealth Management team, Antony applies the extensive experience of the Dixon Advisory Investment Committee to best position clients’ portfolios to achieve their specific short-term and long-term financial goals. “The key to assisting clients in successfully managing their retirement nest-egg is to take the long-term approach. Effective diversification across markets coupled with a consistent, robust investment strategy based on strong fundamentals is the best way to both preserve and grow capital over time”. Antony says building strong relationships founded on trust with clients is an important aspect of his role. “Ensuring that clients are comfortable with recommendations remains a key priority. It’s important that clients are well informed and best positioned to take advantage of the constantly evolving market”. Before joining Dixon Advisory, Antony held various roles in Commercial Operations & Business Management. Antony has achieved a Master of Applied Finance from Monash University and holds a Diploma of Financial Planning from Kaplan Professional. Antony has also completed a Bachelor of Commerce & Bachelor of Economics from Monash University.